Red Hat’s decision to buy ManageIQ, announced Thursday, gives it a stronger cross-cloud management story. 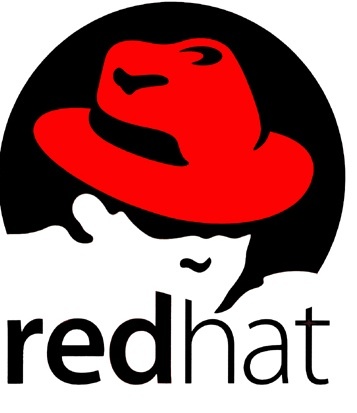 ManageIQ, already a Red Hat(s rhat) partner, works with Red Hat’s CloudForms and Red Hat’s KVM-centric enterprise virtualization software but also with Amazon Web Services and Microsoft Azure public clouds. Planned support for the Xen-based Rackspace Cloud gives ManageIQ total hypervisor coverage. This sort of multi-vendor kumbaya message is getting more important as customers evaluating cloud deployment want to be assured they won’t be locked into a single-vendor, single-technology-stack solution. VMware also touted that rationale of heterogeneous support when it acquired DynamicOps last summer. The vast majority (more than 70 percent) of developers surveyed by Forrester Research use Amazon EC2 for custom app development. Microsoft(s msft) Windows Azure came in a distant second at 25 percent; with Google and Force.com following close behind that. This according to 106 developers participating in Forrester’s Global Cloud Developer Online survey. 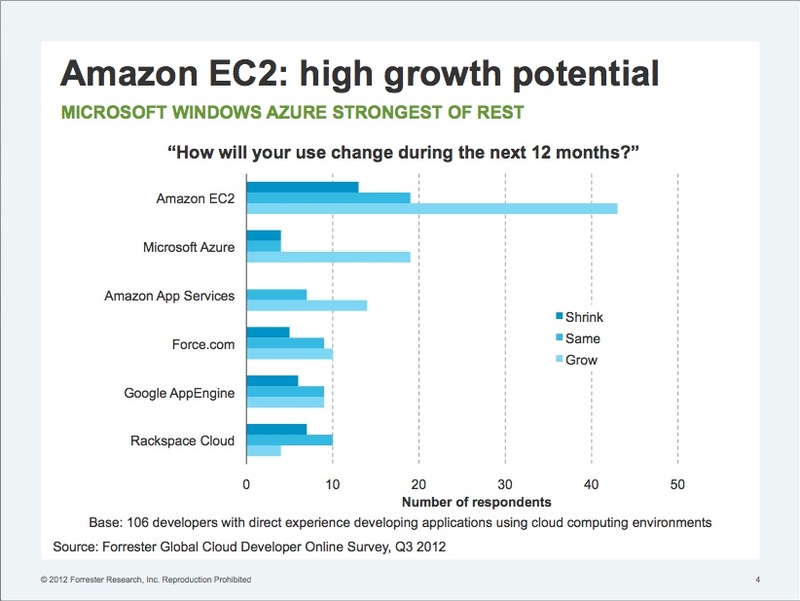 And, of those EC2 users, about 19 percent said they expected their usage would hang steady over the next 12 months, roughly 12 percent said it would shrink and 43 percent expect it to grow. (See chart below.) Among those using Azure about 5 percent said their usage of that platform would shrink — about the same percentage thought it would stay the same, and about 19 percent expect their Azure use to grow. Amazon had a busy pre-Christmas week. On Friday, it launched its promised Data Pipeline service. And to keep those aforementioned EC2-mad developers happy it also came out with a big new EC2 instance type for data intensive applications. The new High Storage Eight Extra Large instances suit applications requiring high storage depth and high sequential I/O performance. Such applications include data warehousing and log processing. For those with short memories, Amazon announced its Redshift data warehousing service at AWS: Reinvent in November. taken together, the Data Pipeline and Redshift could be a potent combination in Amazon’s quest to provide a platform for enterprise-class data warehouse applications –taking on such legacy giants as Oracle(S orcl), Teradata(s tdc), Hewlett-Packard(s hpq), and IBM(s ibm).